Why do we love Singapore? For such a small island, we have some of the best nightlife in Asia! You can go out 7 nights a week and always find something to do, whether its a buzzing, late night hawker centre, a cool café, or a classy bar, there is something for everyone. One of our top picks for a fun night out is Lulu’s Lounge located at Pan Pacific Hotel, with their super chic and trendy deco, fantastic cocktails, jazz music and burlesque dancers, the moment you go through those curtains you feel you are in a “1960’s backstreet New York CLub”, as they describe it, and we definitely agree! Our new range of #AvaClutches will be great to stand out from the crowd here, with our pretty new embellishments and jewels on to add some bling to your evening out! Singapore is a small island with such greenery and beautiful architecture to see. They don’t just build a park and put a few swings in it, no, they make a whole breathtaking display of wonderous visual beauty for you to see. 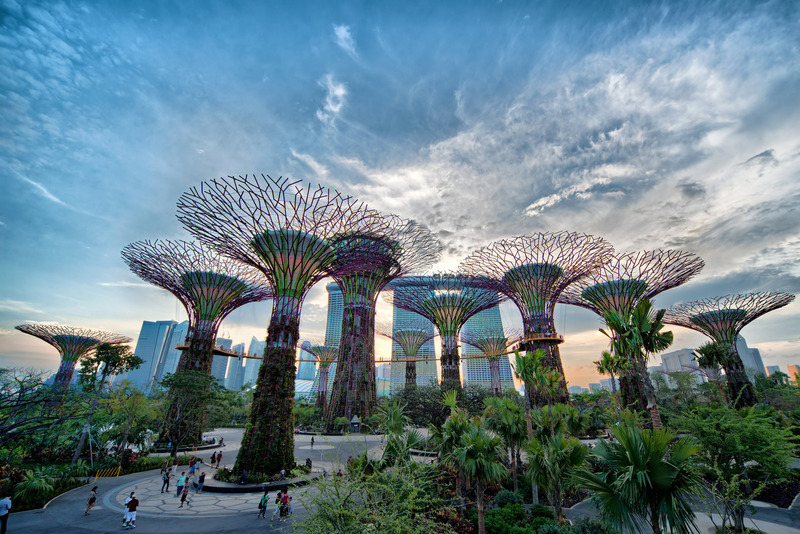 For example the amazing Gardens By The Bay, with domes, gardens, waterfalls and kids play areas, this is not your ordinary garden with flower displays. The way it is built is a mastery of architecture and worth a few snaps for the album! There is so much diversity and different cultures in sunny Singapore, you can eat to your hearts content, with so much to choose from! On the weekends with the kiddos we go to local hawker centres, so we can all choose what we like; a Korean hot plate, Singaporean chicken rice, Thai tom yam soup and our favourite, a good indian curry and prata! Everyone is satisfied! If its not the hawker center, then it has to be our favourite Lebanese (middle eastern) food at Kazbar. For 8 years of searching for the best middle eastern food in Singapore, we can safely say this is the most authentic and mouth watering! Their generous meat platters, mezzes and desserts are all delicious and you will come out full and content each time. Visit Kazbar at 25 Church Street, Capital Square 3. It is 5 mins walk from us at 115 Amoy Street, so pop in after your lunch for a coffee and shop our new #AvaClutches!